Holly can see ghosts. Ever since her family moved into a Scottish castle, she's been able to communicate with the dead. When a flood kills local tourism and forces Holly and her uncle to sell the castle, she follows the castle's ghostly inhabitantsâ€¦ all the way to Branson. After Holly shares her "gift" with Wylie, the magic girl and the musician must team up to save the castle from a group of Branson ghosts out for much more than blood. 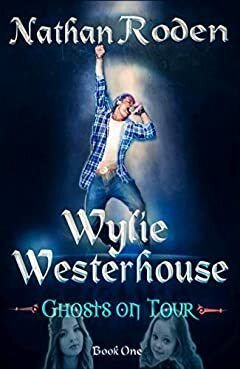 Wylie Westerhouse: Ghosts on Tour is the first book in a series of supernatural new adult novels. If you like dark ghost tales with more than a touch of humor and the Sookie Stackhouse books, then you'll love Nathan Roden's mysterious and entertaining campfire tale. Buy Wylie Westerhouse to unlock the secrets of Castle McIntyre today!